At the heart of it, our message is simple: Burning is not an option when it comes to disposing waste, especially medical waste. There are healthier, less-polluting methods out there, and HCWH-Asia is dedicated to promoting these alternatives. To this end, we’ve published reports on different non-burn technologies and manufacturers that are available to the international market. 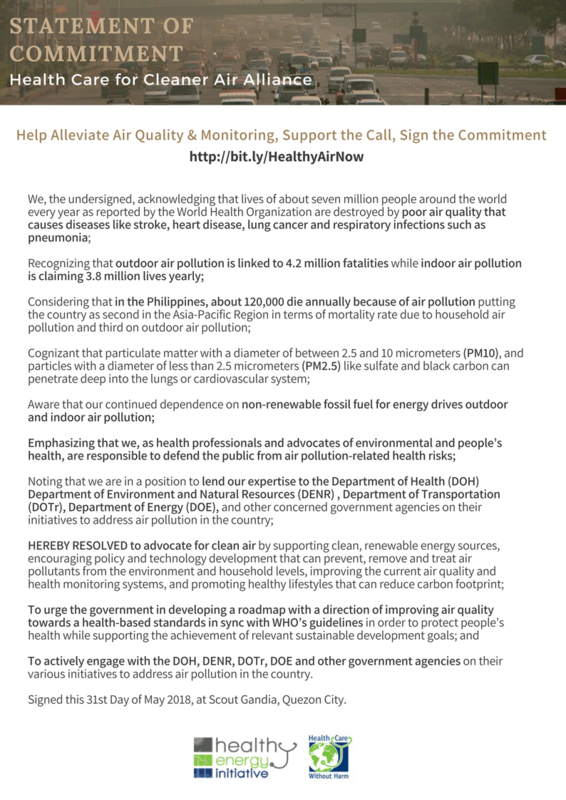 In the Philippines, HCWH-Asia spearheaded a campaign for the cancellation of a defunct Austrian medical waste incinerators project and an alternative budget initiative for alternative technologies. 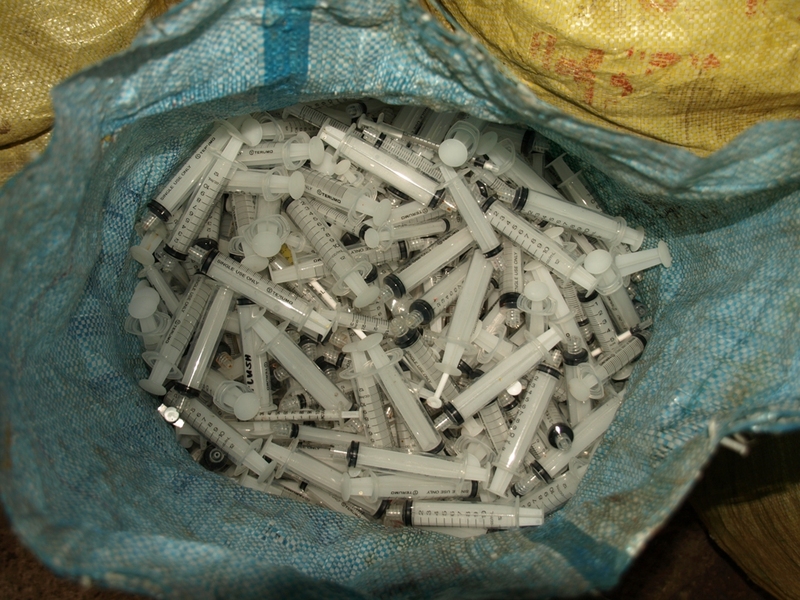 In 2004, our group documented a nationwide vaccination program that showed some remarkable results: The disposal of immunization waste is possible without incineration. Waste is unavoidable. We need to provide options on how to manage refuse that inevitably gets produced by hospitals. Incineration used to be the technology of choice, but we've learned that this process produces dioxins. This nasty substance is considered one of the most toxic pollutants known. The ash that incineration produces may also contain toxins. These substances can enter the food chain after livestock are exposed and contaminated. In the United States, a study by the Environmental Protection Agency found that medical waste incinerators produced 40% of the country's air dioxins. Part of the problem is that medical waste often contains PVC and the chlorine - vital ingredients in dioxins. 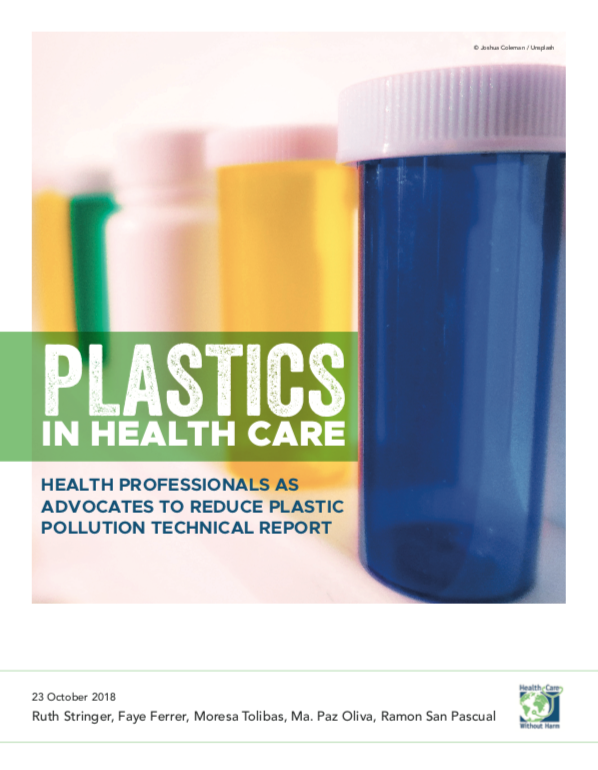 The World Health Organization (WHO) points out that PVC should not be burned. The Indian government went as far as to rule out the use of PVC altogether. The Stockholm Convention, which has been signed by over 150 countries, requires that best environmental practices, and best available technologies, be used to reduce the amount of dioxins from incineration. There's enough proof that this can be done. In the last 20 years, the US has closed 99% of its medical waste incinerators, down from over 6,000 in 1988 to fewer than 60 at the end of 2008. The Philippines has proven that it's possible to eliminate incineration altogether. In main cities, infectious waste is dealt with by centralized facilities running autoclaves or microwaves. In 2004, HCWH-Asia helped the country's Department of Health (DOH) prove that it was possible to manage the waste from a country-wide vaccination program without resorting to open burning or incineration. Read more about the PMEC. HCWH first published a guide to non-incineration technologies and how they work in 2001. An updated report on the Philippines’ successful PMEC campaign was produced in 2004. The report was followed by an inventory of alternative technology suppliers around the world. We identified 113 companies supplying alternative technologies to sixty countries. This list is continually being updated. Manufacturers who want to have their products included in our list may email us. On top of the environmental benefits, alternative technologies are usually more economical than incineration. The World Health Organization has developed a Health Care Waste Management Costing Tool to help decision makers working on local or national levels. 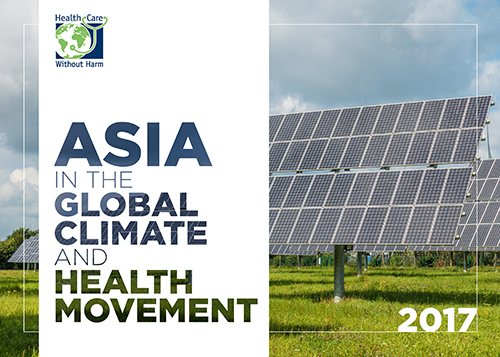 Together with the World Health Organization and the United Nations Development Program, HCWH-Asia is implementing a Global Environment Facility (GEF)-funded initiative. The project is titled "Demonstrating and Promoting Best Techniques and Practices for Reducing Health Care Waste to Avoid Environmental Releases of Dioxins and Mercury." It has been developed primarily under the GEF to help developing countries meet the objectives of the Stockholm Convention on Persistent Organic Pollutants. The $10 million project demonstrates dioxin and mercury-free medicine within model health care facilities. The eight participating countries are Argentina, India, Latvia, Lebanon, the Philippines, Senegal, Tanzania, and Vietnam. • Developing model urban and rural hospitals that demonstrate approaches to eliminate dioxin and mercury. • Establishing national training and education programs on health care waste management to serve respective countries and the regions in which they sit. • Assuring that new management practices and systems piloted by the project are nationally documented, promoted, disseminated, replicated, and institutionalized. • Collaborating with Stockholm Convention National Implementation Plan preparation process. • Disseminating and replicating project results regionally and globally. 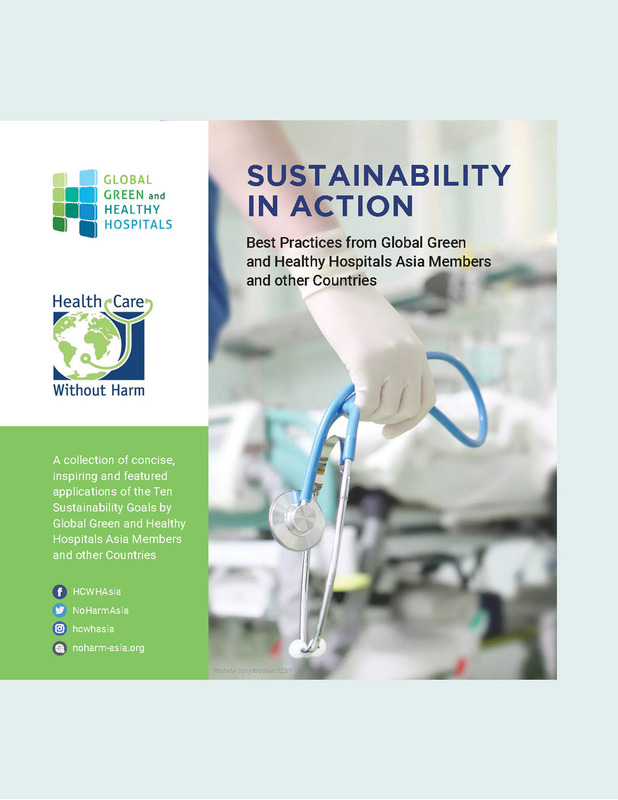 In 2013, HCWH-Asia, together with the UNDP-GEF Project on Global Healthcare Waste launched the report From the Backyard to the Frontline: Initiatives of Philippine Hospital Workers on Best Environmental Practices. The report showcases exemplary practices in seven selected hospitals in the Philippines.